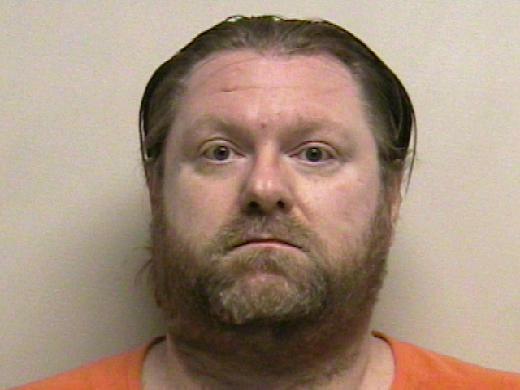 Utah man Jerrod Baum faces aggravated murder, kidnapping and other charges that could bring the death penalty. 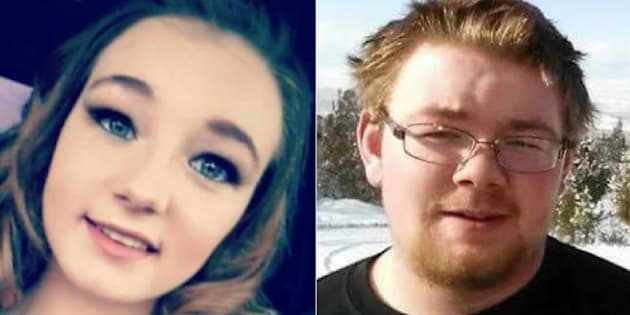 Brelynne Otteson and Riley Powell were a couple in love when they were killed by a friend's angry boyfriend, Utah police allege. SALT LAKE CITY — They were teenagers in love, bonding after overcoming personal struggles and dreaming of a family and future together. When they vanished days after Christmas, friends and family combed Utah's west desert for months in search of answers. What police eventually discovered was more unspeakable than anyone had imagined: The teens' bound and stabbed bodies were 100 feet (31 metres) down an abandoned mine shaft. "We had every scenario run through our heads, but for the events that truly took place, words can't even describe it," said Amanda Hunt, after learning the fates of her 17-year-old niece, Brelynne "Breezy" Otteson, and 18-year-old Riley Powell. A man enraged that his girlfriend had welcomed her friends into their home bound, beat and stabbed Powell to death as Otteson watched in horror before he cut her throat, prosecutors said this week. "It's as bad as anything I've ever seen," said Utah County Sheriff's Sgt. Spencer Cannon. "They just seem like decent kids ... they never did anything to deserve this." Otteson, an outspoken teenager with side-swept hair and bright hazel eyes, had been wrestling for years with her mother's death in a car crash. But she found something special in Powell, her aunt said. Over Thanksgiving the teen was telling her family she might be pregnant. "She struggled with that affection, she struggled with feeling that people loved her, and the same with Riley," Hunt said. "I think they both wanted to be loved." Powell had his own challenges. He'd been sent to a boys' home after bringing a gun to his high school, though Hunt said he only intended to take it rabbit hunting. He changed schools, graduated and found work as a plumber. The couple was living with Powell's father in Eureka, a former silver mining town with a wind-swept main street surrounded by sandy-colored hills pockmarked with hundreds of abandoned mine shafts about 75 miles (120 kilometres) south of Salt Lake City. Sturdily built with glasses and a goatee, Powell often played basketball or went riding off-road growing up. At one point, Hunt said he'd briefly dated a woman named Morgan Henderson. The two remained friends, and made plans to meet at her house and smoke marijuana at around midnight on Dec. 30, police say, after Powell and Otteson wrapped up Christmas celebrations with her family. The couple met Henderson, 34, at a home she was sharing with a 41-year-old boyfriend named Jerrod Baum near Eureka. He'd been in and out of jail since robbing a Burger King at age 15, said Cannon, who booked him into jail back then. Jerrod Baum is seen in a booking photo. He had warned Henderson against having male friends over, and when he arrived home and found the teenagers there he exploded, she said. He tied them up, duct-taped their mouths and threw them in the back of Powell's Jeep. He told Henderson to get in. They drove a few miles outside town and stopped in front of a mine shaft wide enough to swallow a car and nearly 2,000 feet (609 metres) deep. Baum pulled the teenagers out of the Jeep and led them to the abandoned mine, at one point congratulating them on her pregnancy. While Otteson had hoped have a baby, investigators later found she wasn't pregnant. It's not clear why Baum mentioned it. He made her kneel and watch as he beat and stabbed Riley Powell to death, police said, before Baum sliced her throat and tossed her down the mine after him. The bodies stayed there for months as family and friends combed the desert, descending into several of the abandoned mines around Eureka. Searchers even stood over the pit known as the Tintic Standard Mine No. 2, but didn't go down because it was too deep for their team, Hunt said. Henderson, meanwhile, told police she hadn't seen the couple. A break came March 25, when Henderson was pulled over with weapons in her car and arrested. She eventually told police the story of what happened and led them to the bodies. Baum is facing aggravated murder, kidnapping and other charges that could bring the death penalty, while Henderson is charged with obstruction of justice. No attorneys were available to comment for Baum or Henderson, and there were no working publicly listed phone numbers for them. At a hearing Tuesday, Baum turned and locked eyes with the teens' heartbroken families. "He just looked empty," Hunt said. "Soulless."